Hot or cold commercial water softeners, each with an integral electronically controlled pump, designed specifically for low water pressure/flow applications. Provide softened water for warewashing and laundry giving better washing results and protecting equipment from harmful scale and other minerals. The complete system is encapsulated within a single polypropene cabinet offering a neat and hygienic appearance when installed in a commercial kitchen or plant room. Available in 10, 14, & 18 litre capacities. Autosoft Pro Pumped Softeners has models for both cold or hot feeds with an integral electronically controlled pump for low water pressure or low flow applications. All Available in 10, 14 and 18 litre versions. Hot or cold versions are also available with Break Tank where a CLASS ‘A’ air gap is required. See Break Tank Softeners. 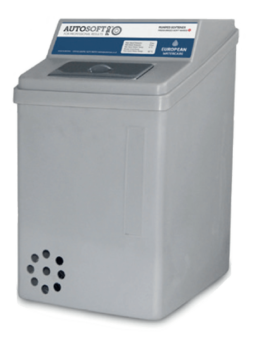 The Autosoft Pro Pumped Dual Temp Softener provides simultaneous soft water for both hot and cold feeds. The integrated electronically controlled pumps allow use in situations where water pressure is low or has low flow rate. 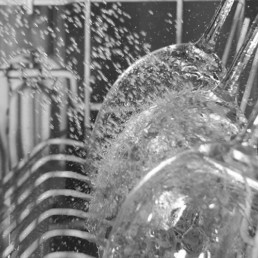 Our specialist softeners produce soft water that help produce sparkling clean crockery, cutlery and streak-free glassware. Glasswashers and dishwashers are also protected from the harmful effects of chlorine and scale. 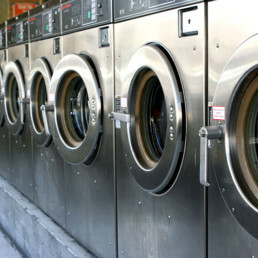 Enjoy prolonged equipment life and more efficient washing. 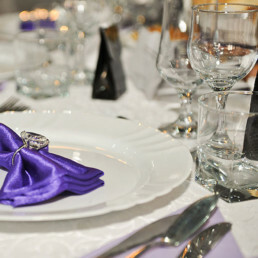 Professional results every time.